A recent trip to Tuzla and Antalya, Turkey, revealed that shipyards there are building a few of tomorrow’s most impressive and interesting yachts. The international media caught onto something that the yachting world had already grasped years ago: Turkey, an emerging economic powerhouse at an important regional crossroads, is worthy of attention. Not only is Turkey a supplier of goods, its nationals are joining the ranks of luxury consumers. With a steadily growing GDP—among G20 members, Turkey had the strongest growth in 2010—the Turkish economy is creating new wealth, some of which is translating into yacht purchases. 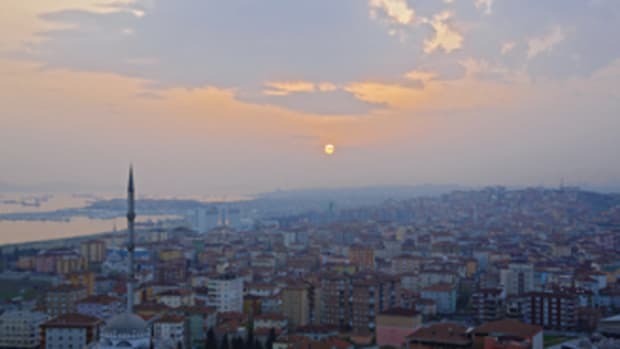 The European Union designated Istanbul as the 2010 European Capital of Culture (the political capital is Ankara), which heightened the profile of this waterfront city already well known for its rich history and culture. Turkey’s beautiful coastline and strategic location between the Mediterranean to the south, the Aegean to the west and the Black Sea to the north accounts for its vibrant boating culture, its long tradition of boatbuilding (the first shipyard dates back to 1390) and ancient seafaring history. In addition to a wide choice of beautiful cruising grounds, yachtsmen have access to quality infrastructure on shore. More than 20 marinas with 6,530 berths are located all around the coast. The Turkish government is fostering an ambitious program of marina expansion, attracting major developers. International marina operator Camper & Nicholson Marinas, for instance, opened the 400-slip Çesme Marina on the Izmir Peninsula in June 2010. Another 5,800 berths are expected to capture a rapidly growing nautical tourism industry (up 25 percent from 2009 to 2010). This is good news for boat- and yachtbuilders here, which are in a position to benefit from an increasing local market. This development is particularly welcome. Turkey is the world’s fourth largest yachtbuilding country behind Italy, the United States and Holland and even though it has advantageous labor costs and a well-established reputation, builders still had to contend with the global decline in new-yacht orders. 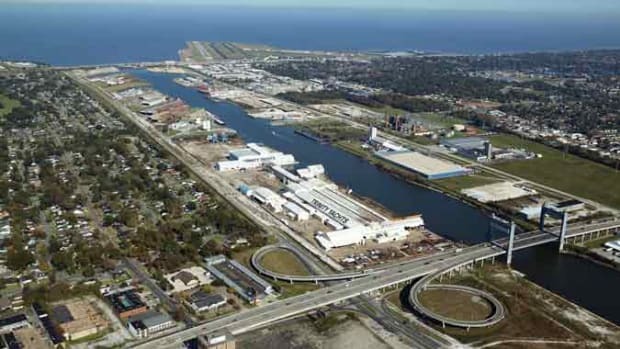 Like yachtbuilders elsewhere, several shipyards had to find creative ways to keep employees working until traditional markets—including the all-important North American market—recovered. Part of the answer in Turkey, as elsewhere, was refit work—a good bet, since many of the more recently established builders, like Sunrise Yachts, which built its shipyard from the ground up in the free-trade zone in Antalya, have tiptop facilities for tasks such as painting. While many companies had to restructure or stall construction for a few months to wait out a general slump, optimism is tangible here. “When I came here it was a breath of fresh air. People are buying here; things are happening,” says Patrik von Sydow, Numarine’s new CEO, who recently moved his family from the UK to Istanbul. Just a few months ago, Floating Life (which manages, among others, a fleet of Norman Foster-designed yachts available for fractional ownership and charter) chose the Marmaris Yacht Marina as its base of operation in the Eastern Mediterranean. Italian Overmarine, builder of Mangusta, recently expanded its dealer network to Turkey, forming a partnership with La Mar Aqua, a strategic choice that has do with Turkey’s economy, location and natural beauty, according to CEO Maurizio Balducci. 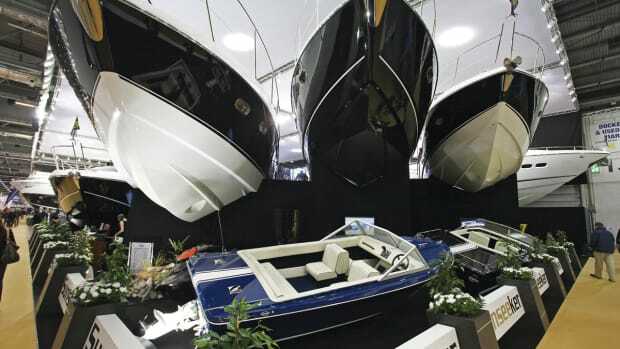 Boatbuilding in Turkey is spread across the country, with active centers in Bodrum and Izmir, both represented by their own boatbuilders associations, in addition to the Istanbul area, Tuzla and Antalya on the Turkish Riviera. Limited in time, we focused on Tuzla and Antalya and still could not visit everyone. Here is a closer look at a few of the builders that opened their doors to us. It’s only a sample of what goes on there. 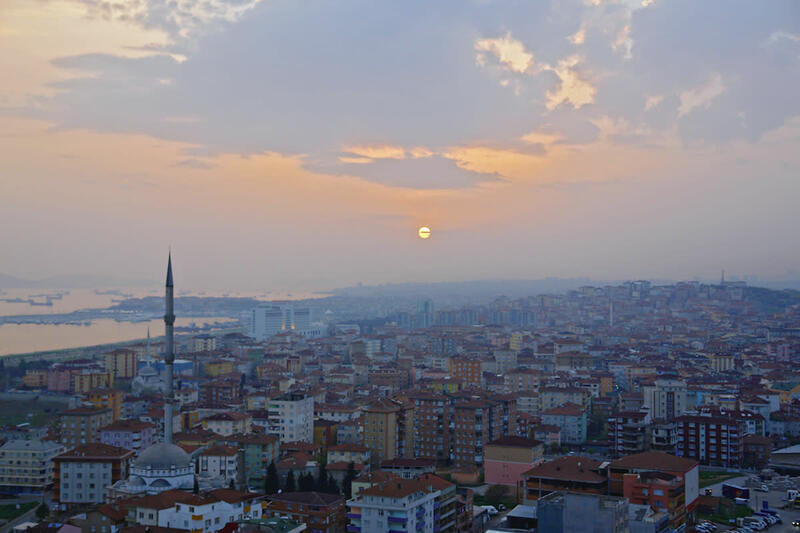 Tuzla, located on the Bosphorus’ Asian side, is considered an extension of Istanbul. In the early 1980s, the Turkish government fostered the development of a shipbuilding industry near what used to be a fishing village and resort area. Considerable growth in commercial work put Tuzla on the map and soon other boatbuilders moved in, attracted by the infrastructure, convenient location and abundant skilled labor. Today, from the rooftop terrace of the luxurious Divan Hotel, Tuzla appears to consist primarily of shipyards and cranes as far as the eye can see. Pendik and its marina are a few miles away, but still within easy reach of Istanbul and its international airport. RMK Marine is part of the Koç Holding Group, an industrial and consumer goods conglomerate of impressive scope (Fortune ranks the company as the world’s 273rd largest). It is hard, probably impossible, to spend any time in Turkey without seeing the Koç name somewhere, from a television screen to a luxury hotel. 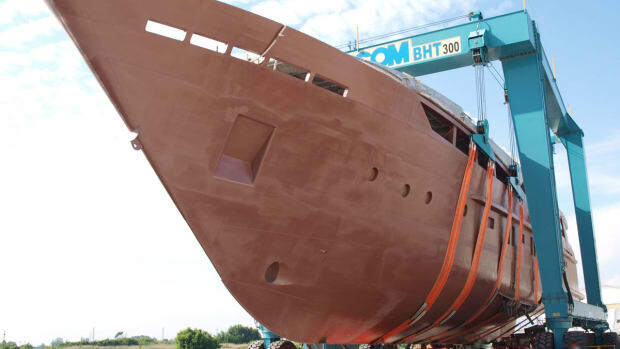 RMK is both a ship- and superyacht builder, which accounts for its tight security and impressive facilities at the heart of Tuzla’s shipbuilding area. On the commercial side, RMK Marine is working on an order for four 296-foot (90-meter) coast-guard cutters. In 2006, RMK Marine began building Nazenin V, a 170-foot (52-meter) Sparkman & Stephens-designed ketch with an interior by Redman Whiteley Dixon. The build of the aluminum sailing yacht was part of an overall strategy to build up RMK’s profile as a superyacht builder, said Mike Burnham, RMK Marine’s business development director, who showed us the shipyard. About the time Nazenin V was conceived, RMK also expanded its facilities and entered into an agreement to build large composite sailboats for UK-based Oyster Marine. A modern structure with five building slots is dedicated to the Oyster production. When we visited, we saw the Oyster 100 (which is expected to be in Monaco) and the Oyster 125, ready to launch in 2012. Both are built according to Lloyd’s stringent class rules, which mandated extensive and continued testing. To accommodate these large composite hulls, using the latest in infusion techniques, RMK Marine built a huge curing oven. Also nearing completion at the time of our visit was the Ron Holland-designed project BN80, a 148-foot (45-meter) expedition-style yacht with an interior by Design Unlimited. It features a huge master stateroom, a private deck and a sun deck with seating for 24 plus a Jacuzzi. Everything, except marine electronics, is done in-house. Interiors are built to scale in the large joinery shop, where craftsmen are as able to create a modern almost minimalist look (for the Oyster) as a traditional classic interior (as the one so eloquently featured on Nazenin V). There is plenty of room for refit work as well. Rahmi Koç, the Koç group’s honorary chairman and an avid collector, also founded the fascinating Rahmi M. Koç Museum in Istanbul (see story on page 86). It already had been an exciting year by the time we arrived in Pendik, Proteksan Turquoise’s yacht-finishing yard. Three new yachts were added to the builder’s growing fleet this year—bringing the total to 17 and counting. The opening of this modern facility in 2007, not far from Tuzla, marked the company’s 10-year anniversary. Proteksan Turquoise was born of the merger of two experienced builders, Hayati Kamhi and Mehmet Karabeyoglu, who showed us the recently launched 231-foot (70-meter) Talisman C. A few weeks later, we caught up with Yogi and Turquoise (launched just a few months earlier) at the MYBA Charter Show in Genoa. There is more to come. A 238-foot (73-meter) yacht and a 164-footer (50-meter) are already in Pendik. Plus a 246-footer (75-meter), was at Proteksan’s hull facility located in the Kocaeli Free Trade Zone at the time of our visit. The shipyard, a member of the Superyacht Builders Association since 2010, builds all aluminum or aluminum/steel yachts and has forged a reputation that has attracted high-profile owners, including the Russian government. 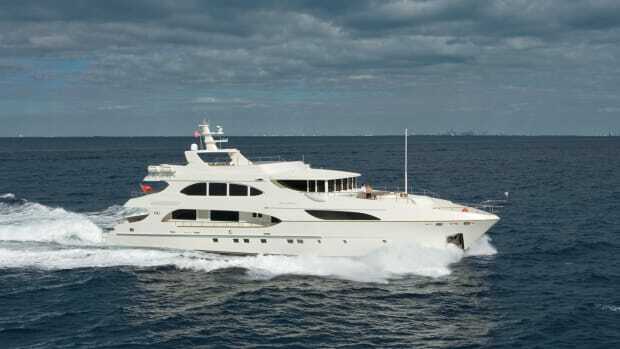 Karabeyoglu, who built the first Turquoise (now La Naturalle Dee) in 1994, estimates that the shipyard is able to sell at prices that are 20 percent lower than comparable yachts built in Italy and 25 to 35 percent less than most Dutch shipyards, while still delivering quality. “There is no magic at all,” he says. “We are able to spend more time on labor, and that’s the key.” While clearly Proteksan Turquoise has established its reputation with its aluminum and steel yachts, it has not turned its back completely on tradition. We had the unexpected pleasure to also visit Karabeyoglu’s personal sailboat, the lovely Jazz Jr., which was there for maintenance and light refit work. Karabeyoglu, who is an avid sailor, allows this lovely 108-foot (33-meter) classic yacht to take charter guests around Greece and Turkey. Karabeyoglu is building a sistership for a friend, using the same traditional techniques and materials he used to build Jazz Jr. It is a bit unexpected, when looking for the Numarine shipyard, to find it perched atop a hill overlooking Tuzla. But this is where founder Ömer Malaz was able to build the kind of modern industrial facility he envisioned for a line of stylish composite boats produced using infusion techniques. In November, Patrik von Sydow came aboard as CEO of Numarine, which now has backing from Dubai-based investors. Sydow, who is Swedish by birth, lived in the UK for 19 years. His experience in the marine sector includes positions with Sunseeker and Sealine. His first encounter with Numarine in 2005 intrigued him enough to keep in touch. Last year, Sydow moved to Istanbul to help fulfill the company’s ambition to reach new heights. Recently, Numarine hired Connect Marketing­—a company whose clients include Bentley—to help shore up its brand identity. Sydow would like to see Numarine benefit from its affiliation with Istanbul, one of the hottest European cities. Turkey is very much part of Numarine’s DNA. It is the home of Numarine’s founder and of industrial designer Can Yalman (one of the designers who gave Numarine boats their edgy look). In addition, Sydow says Numarine is attracting local buyers who have the means and desire to spend. So, why not emphasize Numarine’s ties to Turkey? Another priority is to continue accentuating similarities between models, currently ranging from 55 feet (17 meters) to a 102 feet (31 meters). The 102 RPH, the current flagship, will make a repeat appearance at the Cannes boat show this year. A great-looking 130 widebody (40 meters) is also on the drawing boards but has yet to be built. While in Tuzla, we had the opportunity to hop aboard the shipyard’s latest 78 HT (24 meters) before it was shipped to its owner in Brazil. It has a nice, firm ride and a gift for exhilarating acceleration to 36-plus knots. Numarine is also planning to display this model at the Fort Lauderdale International Boat Show in October through its US dealer Pegaso Marine. The Perini Navi Group built upon an existing facility in Turkey 20 years ago and is one of the first international superyacht builders to set up shop in Tuzla. It was here that the company’s flagship, the Maltese Falcon, was built entirely in a hall now dedicated to steel work. 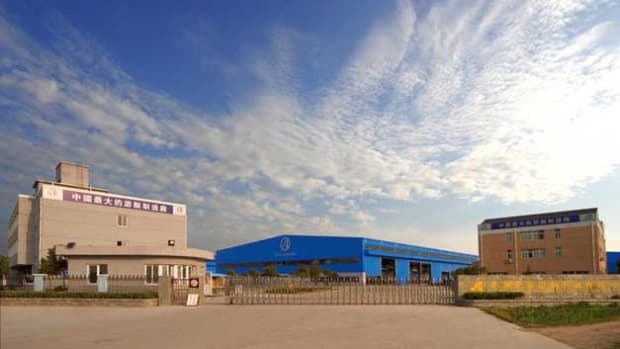 With a separate hall that handles aluminum construction and several workshops (for cutting and prefabrication), the recently expanded Yildiz yard is prepared for heavy metal work and more. Echoes of heavy-duty metal work fill the halls as we meet up with CEO Burak Akgül aboard the impressive 240-foot (73-meter) Vitruvius, which will have electric azipod propulsion. Climbing the raw metal steps is a real workout as the yacht reveals its awesome scale over five decks. The group, which has forged its reputation with a range of innovative sailing yachts, now also includes the Picchiotti motoryacht division. The first in the Vitruvius series was the extremely well-received Exuma, which has cruised the world extensively since delivery and keeps exceeding expectations in terms of range and fuel efficiency. The 180-foot (55-meter) ice-class Vitruvius, expected to be at this year’s Monaco Yacht Show, also had its beginnings at this waterfront facility. In fact, all the Perini Navi Group yachts start here, although the shipyard, which is equipped to do more, most often waves the yachts farewell after completing everything from hull construction to wiring. From here, the yachts go to La Spezia, Italy, for finishing. Also under construction here were two sailing yachts, a 131-foot (40-meter) lightweight fast cruiser and the first 197-footer (60-meter), which will replace the Perini 56m and will be available as a ketch or a sloop. Antalya is a tourist destination on the Turkish Riviera with a seashore promenade—not unlike La Croisette in Cannes—and a vibrant history. Within a few miles of the free zone where the yachtbuilders are concentrated are an old harbor, which dates back to the founding of the city in 150 BC; the historical site of Termessos, in nearby mountains; a vibrant commercial center and an international airport. Founded in 1987, the free zone is in a pleasant environment between mountains and the sea. Tax benefits have attracted a variety of tenants. At the time of our visit, there were approximately 15 different active boatbuilders in Antalya. Okan Onal, the busy technical director of Cyrus Yachts, says that the local market is keen on the boutique shipyard’s retro-style semi-custom yachts, with Dutch design and naval architecture—which, at first, came as a bit of a surprise. Two of five of the 113-foot (34-meter) Cyrus 34s the company has built to date were sold to Turkish yachtsmen, and the most recent inquiry Cyrus received also comes from Turkey. The well-organized shipyard, under Vitters management, is keeping busy with a number of extensive refit projects. 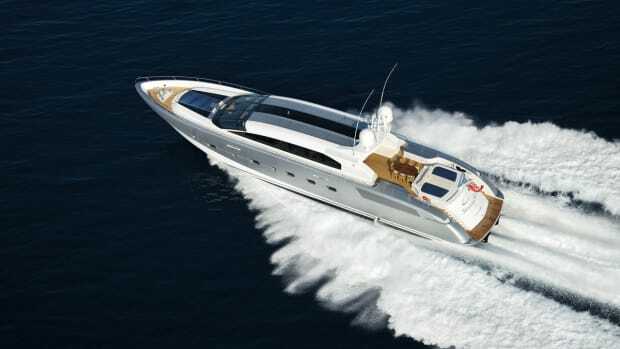 It is set up to do all work in-house for its high-quality semi-custom motor yachts, ranging from 99 feet (30 meters) to 131 feet (42 meters) and built to RINA class. The first Cyrus 34, appropriately named Cyrus One, had come home for some routine work. It was presented at the Monaco Yacht Show in 2008, and its stylish custom interior showed outstanding workmanship. The styling may be retro but systems are to the latest standards. When we visited, the shipyard also was hosting a couple of sailing yachts, including a recent launch from Vitters. The extensive woodshop is able to do detailed work, including building furniture (as it has for the Vitters sloop Lady B). The 70 current employees are able to tackle a range of complicated tasks, from hull extensions to engine and systems refits. Unquestionably, however, a new order for the yet-to-be-built Cyrus 42 would be a welcome development. The newest model in the Cyrus range is ready to start with an order. With full engineering done, construction time would be two years. This 131-foot semi-displacement yacht shares the lovely retro modern look of the earlier and smaller ones, with styling by Rene van der Velden. Fully stabilized and built in composite, the Cyrus 42 has a cruising speed of 14 knots, which gives it a range of 4,000 nm and a top speed of 19 knots. You could say that Guillaume Roché, cofounder of Sunrise Yachts, built a shipyard to address all of his frustrations as a captain. It would be an exaggeration, but he freely volunteers that his extensive experience on boats plus a decade or so as a boatbuilder and project manager in Turkey (initially in Tuzla) have sharpened his eye for the practical details that make life aboard so much easier for the captain, the crew and, of course, the guests. 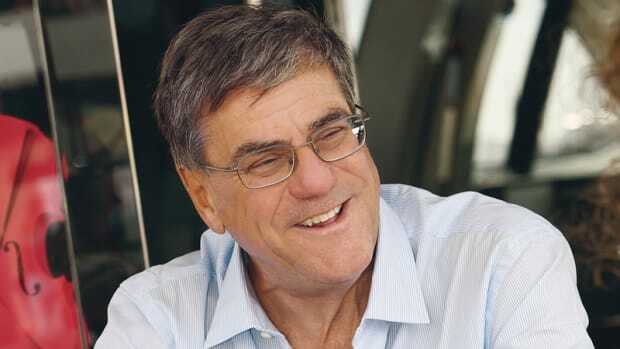 Roché and his German business partner Herbert Baum, at times a yacht owner himself, started their adventure in Antalya after a chance meeting in 2005. The facilities they built are top notch. Chauffeured car service is available for VIPs who breeze through the Antalya Free Zone’s security gate and drive a few yards to reach the impressive Sunrise Yachts corporate offices. The partners seemingly thought of everything: owners and owners’ reps have their own comfortable offices; the subcontractors can set up shop onsite and the employees have a nice garden for outdoor barbecues and an indoor cafeteria. Sunrise Yachts clearly aims to be the perfect environment to build, paint and service a yacht and provide visiting owners with a pleasant experience. The big investment included a state-of-the-art climate-controlled paint shed, which proved a good idea to capture welcome refit work. 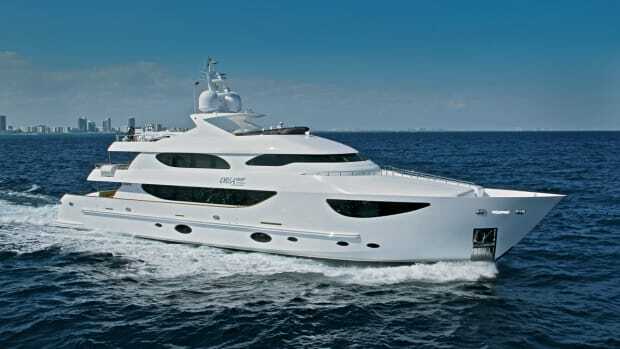 At the 2009 Monaco Yacht Show, Sunrise Yachts presented its first yacht, a 147-foot (45-meter) tri-deck then named Africa (see Yachts International November 2009). Hull No. 2 is now well under way and a walkthrough revealed an eye for detail. The method used to affix pipes requires no welding (just a crimping tool to hold them in place). The engine room is nicely laid-out and clutter-free; one of the reasons is that all water systems are located in one separate area, which also helps reduce the amount and length of the pipes. A tunnel runs through the entire boat for easy access to the system. Accommodations are generous, with a full-beam master suite plus four guest suites and five crew cabins. Plus, there is a proper office for the captain, a position that Roché equates to that of chief operator and manager of a multi-million-dollar company. The shipyard is currently building a 206-foot (63-meter) Espen Øino-designed yacht. Øino has cooperated with the shipyard on several attractive models, including the Sunrise 50 and Sunrise 54. Vicem Yachts has contributed to shoring up the profile of Turkish builders in the United States with its classic cold-molded boats, which include a range of attractive cruisers now under the moniker of Vintage line. In recent years, the company diversified, adding to its traditional wooden boats and cold-molded techniques a line of yachts built in composite, including a 151-foot (46-meter) tri-deck, with naval architecture by Frank Mulder and interior by Dutch designer Art-Line, which we saw in the last stages of construction. Unfortunately, the timing for the introduction of this new Vulcan Line (which also includes a 105-footer) coincided with the financial crisis. Still, the yard forged on and we toured a very advanced project, managed with utmost professionalism and care by Dutch-born and US-residing project manager Bob Riemens. It’s very impressive, even at this stage. It’s meant to be light for a boat this size (speed being one of Mulder’s hallmarks) and includes top-of-the-line equipment and systems, as well as effective sound insulation from Van Cappellen. While top speed should be anywhere between 25 to 28 knots, the four-stateroom yacht, built to RINA class, is also capable of transatlantic range. When we visited Vicem Yachts—which, since 2006, is also part of a large Turkish industrial group, Sanko Holdings—the company was in the process of consolidating all of its operations in Antalya, where it already has several construction halls. It will be closing its Tuzla facility, where we had the opportunity to walk through the nearly complete interior of the Vicem 46. There was also a full-size mockup of another project known as Vanguard, a fast and stylish open-style boat born of the collaboration of designers Michael Peters and Pininfarina. Vicem Yachts forges ahead with one location and three lines: Vintage, Vantage and Vanguard.